Over the past decade, we’ve applied our knowledge and expertise across a wide range of sectors. Here are just a few examples of the projects we have completed. The LGMA needed support for the wide range of networks it has in place, including infrastructure connecting county councils and other government agencies. After changes in staffing levels and a reduction in the number of external contractors available to the LGMA, the agency asked Exigent Networks to provide a robust, reliable network support service capable of handling all queries. 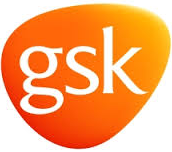 As GlaxoSmithKline’s Network Partner, Exigent Networks was in a position to expertly make the transition from the older end of life equipment to todays most modern fibre optic Cisco network equipment without infringing upon the operations of the site. The GlaxoSmithKline manufacturing and R&D site at Currabinny consists of almost 40 separate buildings, all of which rely heavily upon reliable high-speed LAN connectivity. Waterford City & Council awarded Exigent Networks with a contract to supply, install and support a new high capacity wireless wide area network link between Dungarvan and Waterford City. The merger had a requirement to securely connect both data centres with high capacity connectivity while continuing to provide services to over 50 remote public sector sites around the city and county, and also maintain resilient connectivity to government networks. Louth County Council Awards Exigent Networks with a contract worth €140,000 to supply, install and support a new high capacity Wireless Wide Area Network (WAN). We’ve received some great feedback from the people that matter most over the years, our clients. Here is a small selection of what they’ve had to say about our work. Exigent Networks successfully won and delivered a number of projects for us using the very latest technology and were a natural choice when it came to carrying out a major upgrade, which they delivered on time and on budget. I would like to offer a big thank you to the Exigent Networks Team. We had a very short time frame to connect two buildings together and Exigent Networks came through for us. The sales team guided us through the options and eased any fears, with what for us was new technology. The install team provided a quick but very well executed install on the two buildings. They changed their work plans to fit our demanding schedule and provided a very stable network link that performs exactly as promised. We will be using them again. Waterford Wedgwood Royal Doulton use Exigent Networks to support our Local and Wide Area Network across our Irish locations. We have found them to be responsive, reliable and have delivered on all commitments they have made to our company. I have dealt with Exigent Networks since 2007, during which time they have provided The Bowen Group with excellent support in the areas of LAN/WAN and VOIP infrastructure. I can confidently recommend Exigent Networks as a solid and reliable supplier, and experts in their field. Exigent Networks have provided Nova Networks with network design consultancy, managed ComReg licence applications and carrier-class microwave radio links. We have found that they provide a fantastic level of service. Our queries are dealt with promptly and accurately by the team, who are always a pleasure to do business with. Every staff-member we have interfaced with is passionate about their job and it shows. We know that they are there at the end of the phone or by email and we have absolute confidence that they stand behind us in our mission-critical day-to-day operations. The comfort of having an Irish business behind us, holding spares stock locally, gives us confidence in offering services in turn to our customers. We recommend them highly. Cork County Council currently use Exigent Networks for works carried out on our existing Wireless WAN and on new installations for both Licensed and License Free Radio. In our dealings with Exigent we have been provided with excellent technical support. Their surveys, design and management of projects have been exemplary. In particular we have found their attention to detail in their reporting and handover documentation to be of a consistently high standard. I would happily recommend Exigent Networks as a wireless technology partner. Exigent have provided us with the technical design, ComReg license applications, and the delivery of our core Licensed network over the last 2 years. Exigent assisted in the design of our core network to maximise performance and throughput using world leading microwave radio technology and they provide local Sales and technical support which has surpassed any service supplied to us in the past. Lighthouse Networks would have no hesitation in recommending Exigent Networks as a valued partner. Skytel recently engaged Exigent to replace several PTP connections. We were delighted with the speed at which they delivered several robust solutions for our company from licence approval process to installation and commissioning. We would highly recommend Exigent for their efficiency, professionalism and ability to deliver real value added solutions. Galway County Council have had Exigent appointed since November 2007 to provide complete support and development for our County Wireless Network. The company undertook a diverse network in terms of configuration and multiple vendor equipment and have displayed a strong ability in both ongoing support and development. To date we have had no problem with support response and more critically early warning of future problems with programs for corrective action has been a key element to their approach. Exigent’s support and maintain our extensive wireless Network since Dec. 2009. The point to point radio solution has performed excellently in a busy City environment. Exigent Networks NMS monitors each link, giving us up to the minute information on our wireless network. We like working with Cillian and his team at Exigent Networks, they are very knowledgeable in their field and get our projects completed efficiently and cost effectively. Their support is excellent and they have never let us down. Exigent has provided Dun Laoghaire Rathdown County Council with highly professional surveying and installation services for wireless connectivity since early 2010. We know we can rely on Exigent to provide us with a prompt and efficient support service at all times and the Council very much looks forward to continuing its relationship with Exigent into the future. Exigent Networks maintain and manage our 3Com/HP core network and our indoor wireless networks. We have always found Exigent to be knowledgeable and efficient in any request either from a technical or sales point of view. We would have no hesitation in recommending Exigent Networks as a network integration specialist. Since taking over the management of our Wireless Wide Area Network in early 2011, Exigent have carried out a full audit of our infrastructure and have recommended and successfully carried out many enhancements, including a new redundant link to our main high point. The professionalism and knowledge of their staff is second to none. I would have no hesitation in recommending them to anyone considering using their services. Exigent Networks tendered and were successful in their bid for the installation, commissioning and ongoing maintenance of a wireless data network on behalf of Kildare Local Authorities during 2011. This contract covered installations at circa twenty four sites throughout County Kildare and has now been substantially completed. All staff members of Exigent Networks have proven to be very professional and cooperative, display an aptitude for solving issues that arise and a determination to successfully implement this project as designed. On the basis of this, I would have no hesitation in recommending Exigent Networks for any such similar undertaking. Laois County Council use Exigent Networks to supply and maintain our wireless wide area network services over the past 4 years and we have found them to be very reliable and knowledgeable in their field. They initially stabilised our wireless network infrastructure and continue to provide an excellent service level agreement for our on-going support. Continuity of service is critical for local authorities and the LGMA needs to be confident that we can provide a secure and reliable service. Local authorities are increasingly using technology for citizen engagement and business processes and we all look forward to working with Exigent to support our networks.